Beech Effect Pin Board Notice Board with a grey felt back. Beech Effect Pin Board Notice Board with a grey felt back. Ideal to pin your notices to. 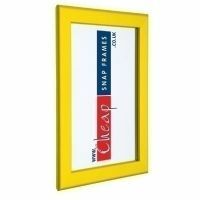 The frame is made of beech wood effect aluminium so is easy to maintain. 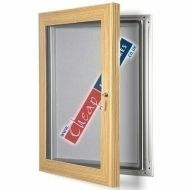 It is ideal for both interior or exterior use as is waterproof. Under the hinged, lockable door there is a rubber seal to keep the water out. The door has side stays making it really easy to change your posters. Available in a range sizes. Cheap prices and quick delivery.